Plant-covered walls are a popular trend in architecture and design today, reflecting our natural need and desire to have living nature around us. But not all so-called living walls or vertical gardens are created alike. Because of this, understanding their basic variations can help us to design, build, or buy living walls more optimally and advantageously. 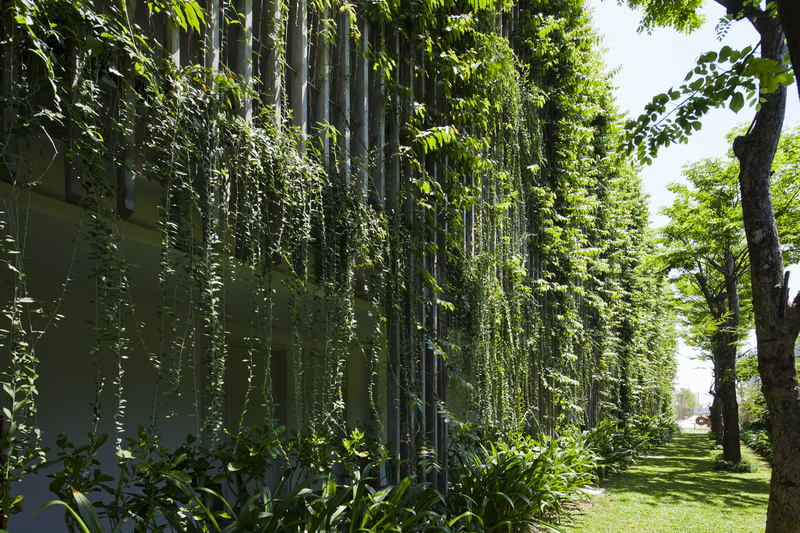 Owing to their two quite different basic designs – green walls and green facades – and the high number of potential variations on these designs, living walls should be viewed as an extremely flexible design tool. In practice, they can be employed: 1) with nearly any type of building, 2) as both interior and exterior walls, 3) with either edible or ornamental plants, and 4) on almost any budget. Indeed, after their initial construction costs, many living walls will steadily pay for themselves through superior building and environmental performance, in addition to offering strong and ongoing visual and psychological appeal.